Picture books are fun reads, but they're also fantastic tools that support emergent literacy skills. We have to keep in mind though that simply having books in the home is not enough. To encourage new readers to develop their literacy skills, caregivers also must interact with the books. Interactions include reading together, but there are many other ways to support literacy skills! Encourage children to retell their favorite stories to you or join them in acting out the story. Let a child create their own version of a book by having them reillustrate it. You can also try to match stories to events in their lives: Do you walk past a construction site on the way to preschool? Check out some books on construction from the library! Most importantly, remember to ask open-ended questions about the books. Questions that begin with "What," "Why," and "How" are great ways to start a conversation and promote vocabulary building. Are you going to look at foliage in Fairmount Park? Or are you heading off for a walk around your local park (or just around the block)? 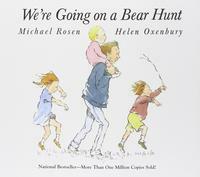 If so, consider introducing your child to the classic We're Going on a Bear Hunt. The book can be told as a story, or you can turn it into a clapping song. And let's be honest, the story is just begging to be acted out by your entire family. Once your pre-k child is familiar with the story, engage him or her or them by talking about the hurdles faced in the book. What does mud feel like? What do we like or dislke about about snow? Why do you think the family is looking for a bear? 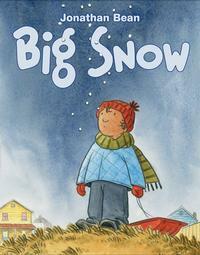 With winter around the corner, check out Jonathan Bean's Big Snow. The story follows a mother and child doing various tasks around the house as they wait for snow to fall. This is a great book to read together on a break from your own household chores. Use the book to guide your conversation as you clean: "How is a bed sheet like a snow drift?" "What in the house reminds us of snow? "What do you like to do in the snow?" If you've stumbled across the blog post in mid-June, don't worry! You can still use the book. Ask children about their favorite memories of winter. 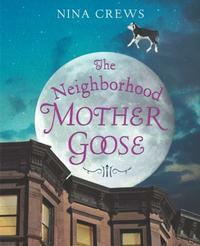 Nursery rhymes are easily remembered and fun to say, and Nina Crews elevates them to the sublime in The Neighborhood Mother Goose. Are you taking your Pre-K friend with you to the grocery store? Read "To Market, To Market" and talk about what you'll want to buy. Draw scenes from "Hey Diddle diddle" or act out "Little Miss Muffet." The images in the book are similar to Philadelphia, so there's lots of room for inspiration. Don't be afraid to be silly—have a conversation about what would happen if you suddently pulled a fish out of your ear. Your Pre-K child will love it! What are some of your favorite books and literacy activities? Tell us in the comments below! November is Picture Book Month and in celebration, we're sharing some of our favorite picture books for Pre-K readers.